Daddy found a home! 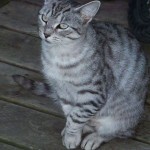 We called him Daddy as we are sure he fathered many living as a stray. 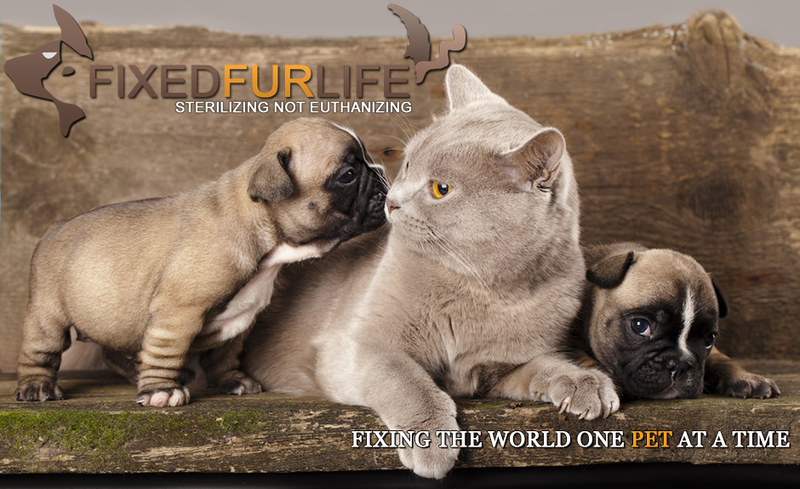 Neutered by Fixed Fur Life. Camille an abandoned kitten was brought to FFL many months ago. Spayed and finally adopted. 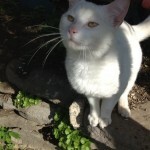 Hampton whose owner moved to Mexico and could not take him has been adopted! Thank you Trenton Pet Valu Trenton. 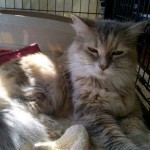 Sandy who has been with Fixed Fur Life for over 6 months has finally been adopted!! Gizmos babies have all been adopted. 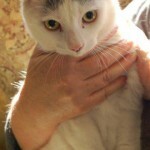 She has been Spayed and adopted. The Vet who did her Spay commented re the state of her uterus. Apparently she has had dozens of litters and was close to a pyometria should she have continued. Caesar 15 May 2013 - Approximately 8weeks old. Mom a stray who had her kittens under a deck. 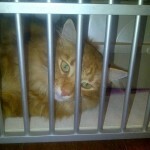 Caesar was Neutered and Adopted! Ma Ma wasn't sure where to post this Darlene but I wanted to say thank you for all your help and support. I wanted to let everyone know that thanks to fix fur life Ma Ma has not only got fixed but was also able to get a new family and home today. I'm so happy for her. Thanks again Darlene. 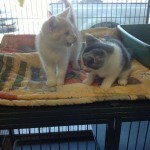 Garfield and Odie were found on the side of Highway 62 and brought into our store by a very, very kind man who was highly allergic to cats. We didn't get the gentleman's name, but are thankful that he stopped to pick them up They have now been successfully adopted, Neuters pre paid with adoption. Thank you Belleville Global Pet Foods. Nicks owner surrendered him to FFL as the landlord would not allow. Neutered by FFL and adopted out. 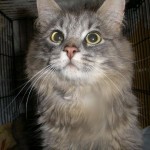 Princess is a young adult girl with 4 babies. Her owner was no longer able to care for. All been Spayed, Neutered and Adopted! 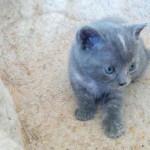 Timona an abandoned kitten was adopted! 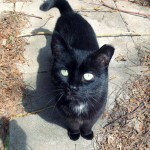 This is my cat Mia, she was a stray that had kittens in my yard in April 2008. Mia has the top of her left ear and the end of her tail missing, due to frost bite. 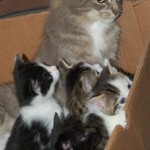 Thanks to Fixed Fur Life, Mia and her kittens were fixed and have forever homes. 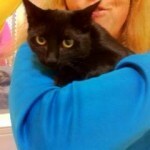 Kitty is a year old male Neutered boy whose owner can no longer care for hi. Super Friendly! 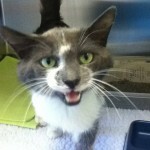 Kitty has now been adopted! 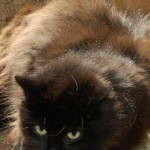 Ming is a long haired female Spayed domestic Black. Her owner was no longer able to care for her. 24 August - Ming has been adopted!! 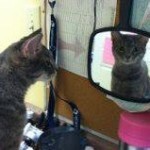 Poppy a stray now Spayed is viewing her reflection to make sure she looks beautiful prior to adoption! Was Spayed and adopted! Great News! Ginger the 12 year old Neutered declawed boy whose owner could no longer care for has found a home. 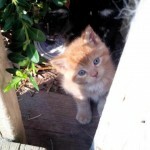 Thank you Sandra for adopting for giving him a home! Whitey This fellow was found as a stray in Trenton. Zero chip, zero identification and not Neutered. He was neutered and adopted! 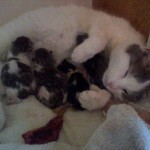 Nursing mom Alumni - Momma had her kittens in a window well. Inside and safe now. 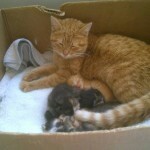 Momma has been fixed and adopted> All babies have also been adopted! Momma and kittens found in a window well today. Into foster care. All have now been adopted! Shadow and Chance shown in their new home. 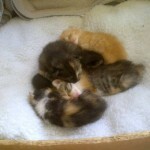 They, their siblings and mom were taken into foster care after mom was discovered having had her kittens in a window well. 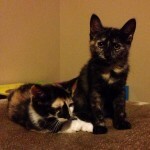 Thank you Cheryl for fostering and Thank you Heather for giving them a home together!